Artist Diane Watson is set to showcase a year’s work cataloguing environmental finds as she brings her exhibition There Is No Away to Redcar’s Palace Arts Gallery from Saturday 12th January to Saturday 9th February and at Hartlepool Art Gallery between Saturday 23rd March and Saturday 25th of May. 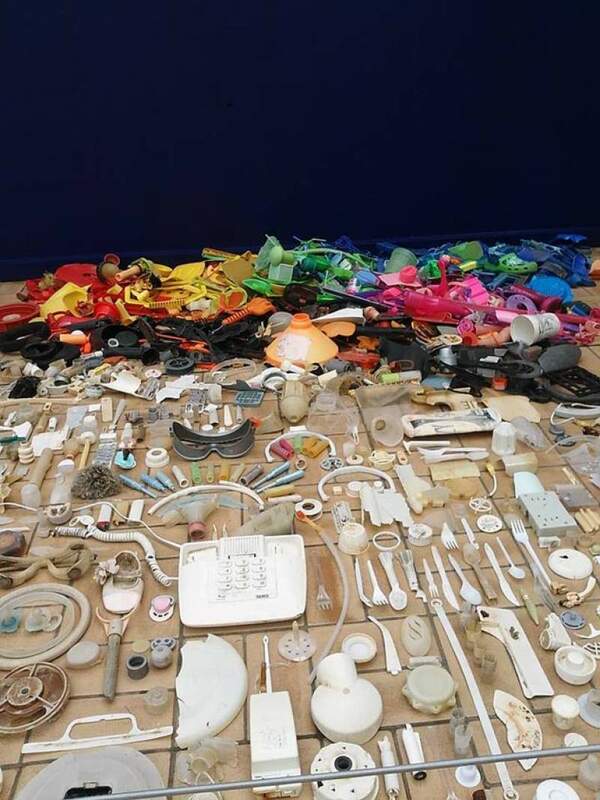 After netting a haul of bottle tops, toys, chip forks and even shotgun cartridges, the incredible collection is set to shed a light on the extent of plastic pollution with the walking of beaches in Teesside and County Durham bringing in a mesmerising amount of finds. The items have been transformed into a kaleidoscope of poignant images, with the 12 printed creations making a calendar that puts forward the immensely relevant case for the disposal of single use plastic and shows in a quite beautifully subtle way why this huge environmental concern in so important. There Is No Away is at the Palace Arts Gallery in Redcar between Saturday 12th January and Saturday 9th February and at Hartlepool Art Gallery between Saturday 23rd March and Saturday 25th of May.